It was the place to be in New York in 2011 and in case you haven’t heard, it’s the place to be now. 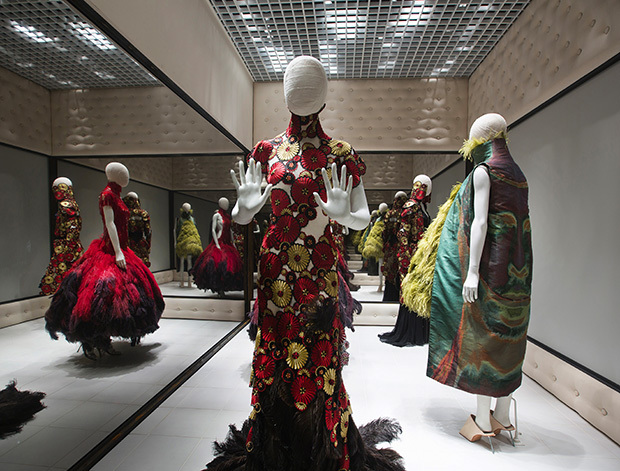 Round two of Savage Beauty, transplanted and expanded from New York’s Metropolitan Museum of Art’s legendary retrospective, arrived at the V&A this weekend in honour one of the East End’s greatest treasures, and its biggest fan, Alexander McQueen. McQueen’s global reach can hardly be measured, going from his early-90s ‘bumster’ trousers to the late-noughties’ duck feather gowns and bejewelled head pieces — and back again, as McQueen-inspired bird prints appear on Zara dresses worn by Pippa Middleton, and polyester versions of his iconic skull scarf are worn by ‘edgy’ mums everywhere. 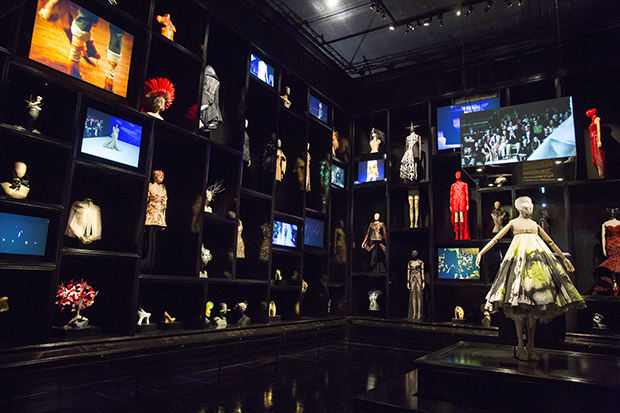 One of the V&A’s most ambitious exhibitions ever, adjoining themed galleries compartmentalise McQueen’s wild imagination, charting the master tailor’s rise from exquisite early suiting that laid the structural foundations, literally, for his wildly ambitious later designs, using more and more material but still managing to flatter. 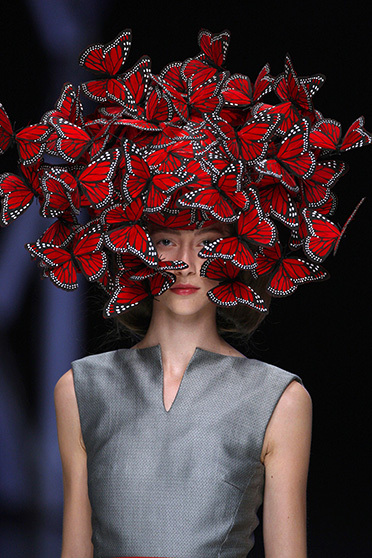 Scenes from Hieronymous Bosch’s The Garden of Earthly Delights appears on a dress paired with ankle boots and a feather mohawk, and collections inspired by Darwin, primitivism and his fury over England’s relationship with Scotland show a man of many minds. 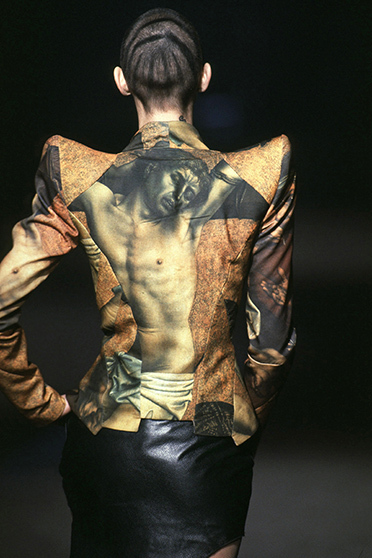 But, as he made clear, the streets of East London inspired McQueen – a Stratford native – early and often. “You take inspiration from the street, with the trousers so low. You don’t need to go to India. You can find it in places like Bethnal Green, or down Brick Lane. It’s everywhere,” he once said. McQueen, who committed suicide in 2010, left a large chunk of his fortune to his dogs, and £100,000 of it to the London Buddhist Centre in Bethnal Green. The retrospective received a warm welcome of 70,000 pre-sold tickets, a number which appeared to bring tears to the eyes of V&A director Martin Roth as he addressed the press preview last Thursday. 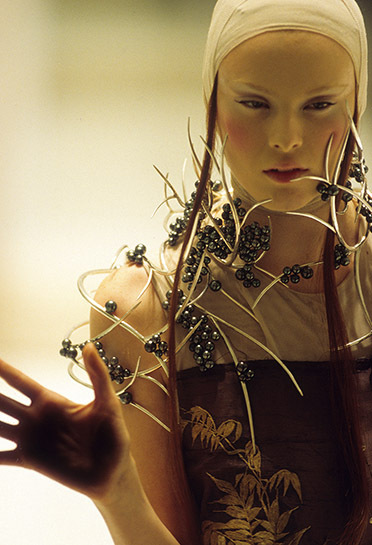 McQueen’s relationship with women has been subject to much curiosity, with examiners of his legacy digging deep to understand his apparently complex bonds with women both real (his mother, his dear friend Isabella Blow, Sarah Burton) and imaginary (the mythical creatures he made of models in runway shows). Did he hate women? Fetishise them? McQueen certainly sits on the edge of any question you may ask about him, making him endlessly fascinating to talk about. But Savage Beauty offers something better than talking — a rare opportunity to shut up and just look.